Breathtaking and romantic, this is the elegant boho bridesmaid style you’ve been in search of. 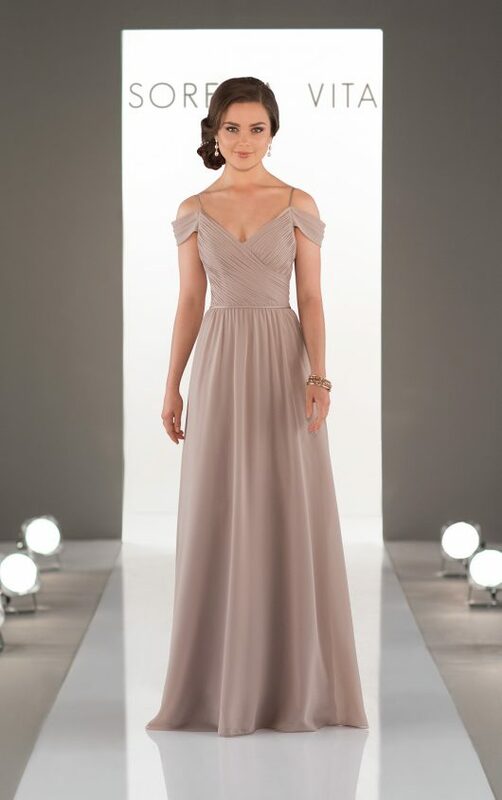 Delicately ruched, the bodice of this gown crosses in front, creating a slight V neck that is accentuated perfectly with skinny straps and off-the-shoulder straps. A thin ribbon accentuates the waist before flowing gracefully into a light-as-air skirt.